One of the questions that we often get is whether or not it’s possible to back out of a lease before the contracted term date or how to trade-in vehicles. Though most people believe that they are stuck, that is absolutely not the case. There is also a common misconception that backing out of your lease can be expensive. Again, not true. The reality is that you can actually make money on your leased vehicle. We have paid out many Long Beach residents who have traded in their lease. Here at Timmons Volkswagen, we accept all vehicles on trade. It doesn’t matter whether you financed or leased, or whether you have the vehicle paid off or you’re still making payments. We are able to work with you to get you what you need. If you still owe, we simply pay off the remaining balance for you, making it possible for you to get the vehicle that you really want. If your vehicle is worth more than what you owe on it, there’s a chance that we will be paying you. As we said, you can trade in your leased vehicle here at Timmons Volkswagen at any time. You do not have to have purchased it here in order to trade it in. After the dealership that you leased the vehicle from collects their earnings, there is a leasing company that takes care of collecting the payments. When you trade in your vehicle, we pay off this company so that the car is all free and clear. If you owe more than it is worth, we add that balance into the loan for your new car. On the other hand, if the vehicle is worth more than you owe, you could collect some money. Itf this is something that you’re interested in learning more about, it is a good idea to keep an eye on the trade-in value of your leased vehicle, and always know how much you owe. Though it doesn’t always happen, there are some vehicles that depreciate at slower rates, and knowing when to make the trade is crucial. It helps you to save money on your next lease or purchase. 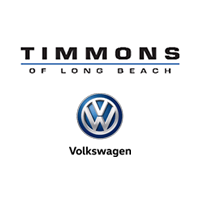 If you are looking to get out of your lease, we encourage you to get in touch with our team here at Timmons Volkswagen. Give us a call, shoot us an email or simply stop in and let us know that you may be interested in getting out of your lease early. We can take a look at your vehicle and provide you with an estimate. If you like what you hear, you can take the offer, or you can decide to keep the lease or explore another option. It’s completely up to you.